AeroMetric is pleased to announce that Paul Brooks has been elected a 2011 ASPRS Fellow. This honor is awarded by the American Society for Photogrammetry and Remote Sensing for exceptional service in advancing the science and use of the mapping sciences, in addition to making outstanding contributions to the society. Only two ASPRS members have been awarded Fellowship in 2011 from a membership base of over 5,000. Brooks, who works on business development in Alaska, is the fourth AeroMetric employee to receive this honor which was previously bestowed on Barney Schur, a founding partner of AeroMetric and currently on the AeroMetric board of directors, Terry Keating, senior vice president and chief technology officer, and Tony Follett, senior vice president, Alaska operations. Brooks is a graduate of the University of Maine in forest management, and holder of a master’s degree in ge-odesy and photogrammetry from Iowa State University. He started his career in 1964 at the Defense Mapping Agency and worked on numerous projects, including the Apollo lunar landing missions. In 1972 Brooks joined USGS as chief of the Control and Mensuration Branch of the Special Mapping Center, managing and developing photogrammetric operations and production standards. He also worked in the Office of Research and Technical Standards, being responsible for research investigations designed to test and evaluate advanced and operational photogrammetric mapping systems. During this period he spent time as a lecturer at George Washington University in the Cartographic and Geodetic Science Studies Program. From 1977-1980 Brooks was seconded to the Office of Biological Services, U.S. Fish and Wildlife Service, where he assisted in establishing the National Wetlands Inventory Project and planned, developed and managed the remote sensing and mapping activities for the program. He also coordinated the remote sensing and mapping activities for the National Coastal Ecosystems Team, as well as the Eastern and Western Energy Land Use Teams. From 1980-1996 Brooks was the USGS director's representative for Alaska and chief of the National Mapping Division in Alaska. His responsibilities included oversight and execution of all inter-divisional and bureau-level programs within the state. 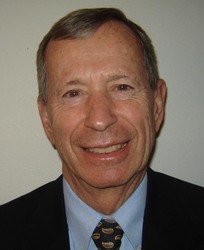 A member of the ASPRS since 1973, Brooks served as the national director for the Alaska region from 1987 to 2010, and as a member of the society's executive committee. He has served on three ASPRS national committees and is past president of the Alaska Region. Brooks was also conference chair for the ASPRS/ACSM 1986 annual conference held in Anchorage, Alaska, and co-chair for the 2006 ASPRS/MAPPS technical conference held in San Antonio, Texas. He is a Hall of Fame recipient for his many years of service to the Alaska Surveying and Mapping Conference. Brooks also gives his time to his community having been involved for the past 12 years as a mobile intensive care paramedic with TransCare Medical Services, 10 years with American Care Air Ambulance, and 25 years as a ski patroller with the Alyeska Ski Resort. Brooks has also served for 10 years as a lead medical technician, and now over four years as team training officer of the Alaska-1 Disaster Medical Assistance Team, part of the U.S. Public Health Service’s National Disaster Medical System. AeroMetric, Inc. is a full-service geospatial solutions company built on over eight decades of consistent, quality service and enduring client relationships. The firm offers a comprehensive range of on-target geospatial solutions including the latest in photogrammetric, lidar, satellite and airborne imaging technology and has earned a reputation for technical excellence, superior service, and on-time, on-budget delivery. For more information please call 1-800-558-6707 or visit http://www.aerometric.com.